But in the specific world of movies and television, there are trailers. Those snappy, quick-cutting, eye-catching, can’t-turn-away mini-films intended to set the stage, pull you in, ensnare your interest to the point that you must watch to find out WHAT HAPPENS. Personally, I love trailers. I love getting to the theater early enough to catch each and every one that unfurls before the main attraction, making note of those I’ll catch and those I’ll be sure to miss. Trailers – the good ones, anyway – are significant and effective as marketing tools because they show just enough visual, share just enough narrative, and cut it all together with just the right rhythm and pace to whet the appetite of the viewer, enough to make a future commitment to WATCH. Or, in the case of book trailers, to READ. 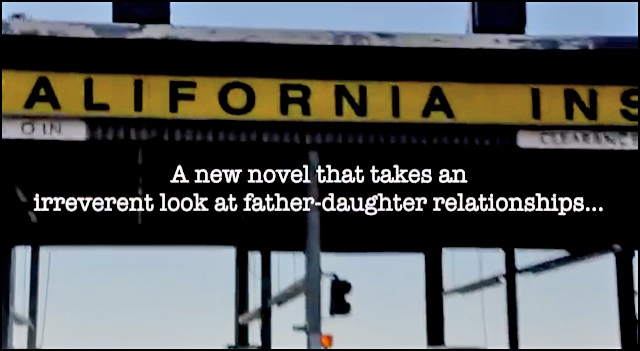 The notion of authors and publishers using trailers to promote and market their books is a relatively new phenomenon. There’s no doubt that as e-books and the online purchasing of paperbacks, even hardcovers, came under the growing purview of online book retailers like Amazon, Barnes & Noble, and the like, the focus of book-lovers turned commensurately to online interaction. From there it was not difficult to steer their interests towards accompanying book trailers as a way to further entice their reading choices. Brilliant! So fresh and cutting edge, trailers would surely be seen as innovation for books marketers…right? I agree with him, though I do think the accessibility to trailers could use some expansion. At this point, unless an author or publicity person directs you to the YouTube or Goodreads page of that author, or is vigilant about linking the trailer to every piece of promo sent out, their ubiquity as advertising tools is not necessarily matched by their actual access. Even Amazon, which allows authors to post book videos on their author pages, hasn’t yet created the algorithm to view those videos full screen… or even larger than the teeny box they appear in off to the right (I’ve talked to them and will see what can be done about getting that changed, dammit!). Frankly, I think trailers should be right there on the authors’ individual sales pages, just like the “look inside this book” feature. Hopefully, we’ll get there. For now, I’m delighting in the fact that the medium exists… and that I’ve got one. A good one. One artfully created, produced, and edited by my phenomenally talented brother, actor/director/writer, Tom Amandes (in addition to the gorgeous book cover created by one of my other phenomenally talented siblings, designer Grace Amandes). Tom has a remarkable resume as an actor, and in recent years directed a number of high-profile television shows as well. I am truly fortunate to be the recipient of the prodigious skill and expertise he brought to this wonderful, artistic, mini-film for After The Sucker Punch. Already I’m hearing from new readers about it! And so, with no further ado, the book trailer for After The Sucker Punch. Enjoy it… then enjoy the book! Visit www.lorrainedevonwilke.com for details and links to LDW’s books, music, photography, and articles. Enter your email address to follow RPM and receive notifications of new posts by email. Like the game from which it playfully borrows its title, Rock+Paper+Music focuses on whatever topic wins the throw-down on a given day, be it art, books, music, politics, cultural events, or social commentary. In other words, LIFE… in all caps! I hope you’ll enjoy my particular slant on things, whether sharing the latest on my books, music, acting, and photography, spouting sass about crazy politicians or applause-worthy opinion leaders; reblogging great posts by writers I enjoy, or simply discussing whatever’s happening in the world around us. Please feel free to comment or share as you see fit, don’t hesitate to get in touch if you’re so moved, but, mostly, enjoy the read! LATEST: my third novel, THE ALCHEMY OF NOISE, set to launch April 9, 2019, is up at Amazon for pre-orders. Be sure to stop by and register for an e- or print book… I send appreciation in advance! Just click HERE! Oh, Happy Day… It’s Pub Day! Time’s Up: Why America NEEDS a Female President. Now. My Aretha… We Each Had Our Own, Didn’t We?